Condensing boilers do this by having an extra heat exchanger in the flue. As the flue gases (fumes, smoke… and the like) heat up the water (or some cases the air) some of the steam condenses and is collected in the boiler. This means that the boiler has less work to do to heat the water. The condensing water is collected in the main body of the boiler and this needs to fall by gravity to a drain . (A)pump it to a drain. 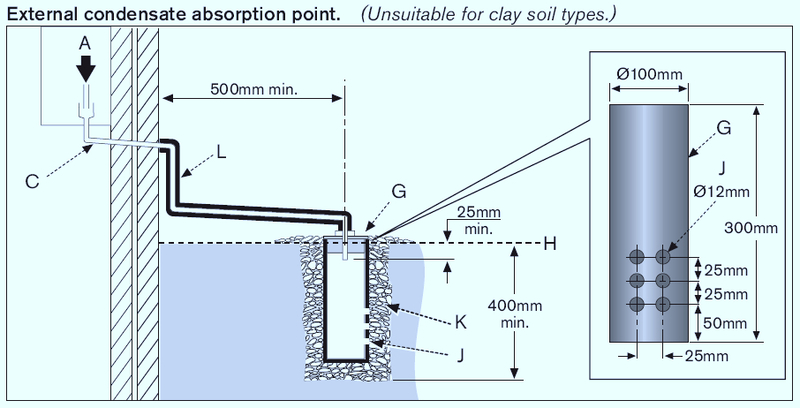 (B) Fit a soakaway (when there is an outside wall available).